I had been looking for an illuminator for quite sometime that can be used in the day and is not too dramatic and I finally found something that is almost close to perfect. 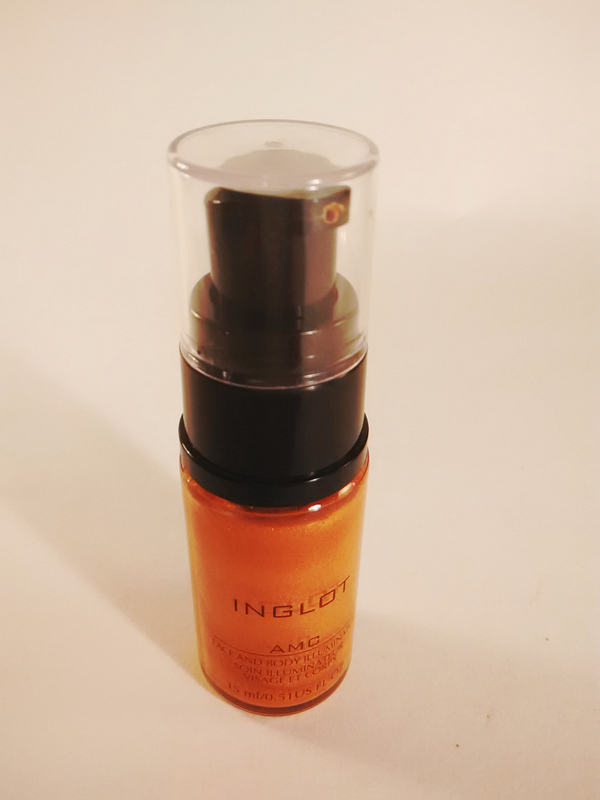 Inglot Face & Body Illuminator #63. 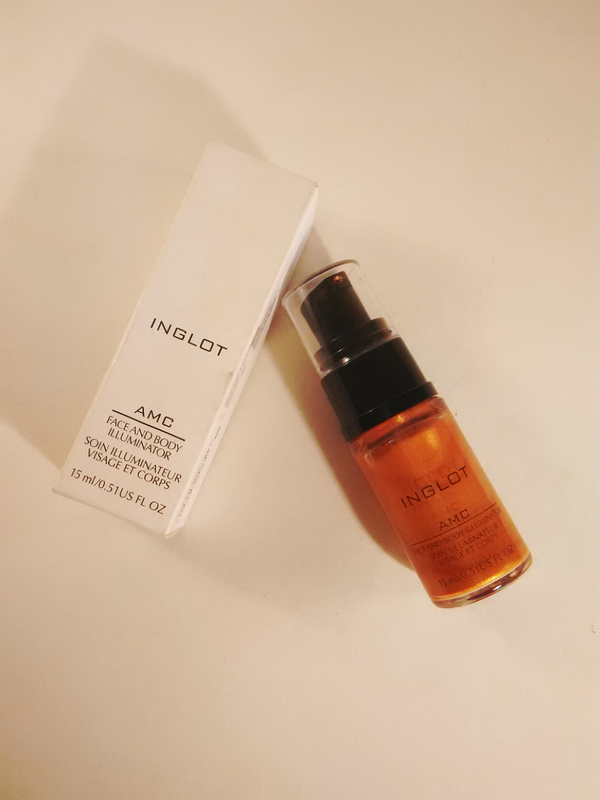 This is a warm, gold, peachy-pinkish liquid illuminizer containing pearlescent molecules that give the skin a soft glow. This product priced at INR1500, comes in a transparent bottle and has a pump dispenser which makes sure that chances of contamination is minimal as fingers are brushes are often used to apply product when there is no pump dispenser. This product can be used in a number of ways. I mix it with my foundation to get a dewy, fresh and luminous glow. On days I want to avoid makeup but still want a glow on my face, I mix this illuminizer with my mousturizer. I’ve observed that this illuminizer is best to be applied before setting makeup with powder or else it tends to get streaky. I also use this product on my face for subtle highlighting of my cheeks, bridge of the nose and cupid bows. Just remember, this product is very nice and subtle in effect, its not meant for dramatic sheen. A little bit of this illuminizer can also help give lipsticks some shine. Inglot has a massive array of products and colors and this particular illuminizer is absoloutely great in terms of quality. Its not glittery but gives a nice amount of radiance and drama to my skin and complexion. Overall, I love this product because I can use it in so many number of ways.